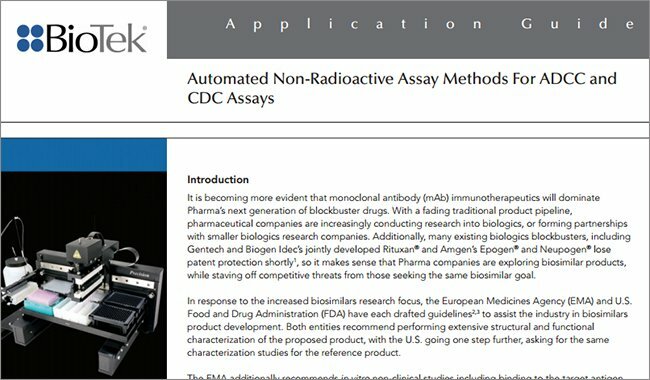 Pharmaceutical companies are conducting more monoclonal antibody (mAb) research, and the European Medicines Agency (EMA) and U.S. Food and Drug Administration (FDA) have each drafted guidelines1,2 for biosimilar product development using mAbs. 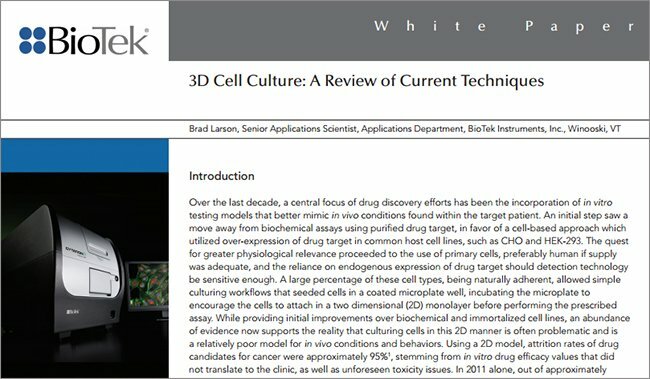 Both guidelines recommend performing extensive structural and functional characterization of the proposed product. 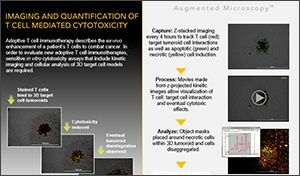 Characterization studies often include cell-based antibody-dependent cellmediated cytotoxicity (ADCC) assays. Figure 1. ADCC Mechanism of Action. ADCC is a prominent mechanism in the host immune defense where the Fab region of an antibody binds to a specific antigen on a target cell (Figure 1), commonly an infected cell or pathogen. The Fc region of the same antibody then binds to a FcγRIII or CD16 receptor on an effector cell, commonly a natural killer (NK) cell. The bound NK cell then secretes apoptosisinducing agents, thus destroying the target cell. 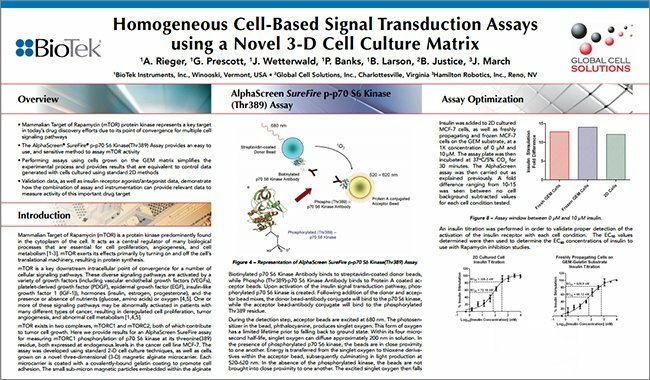 Here, we discuss an automated, non-radioactive ADCC assay used in mAb immunotherapeutic development. 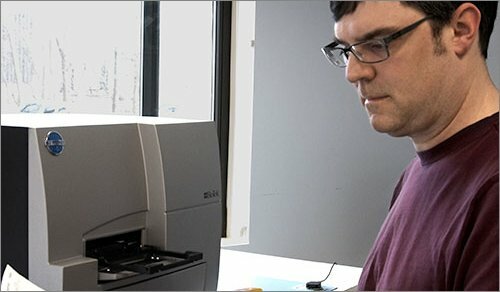 The cell-based assay from PerkinElmer, Inc. (Waltham, MA), negates the need for dangerous radioactive materials, and offers a simple, safe process. 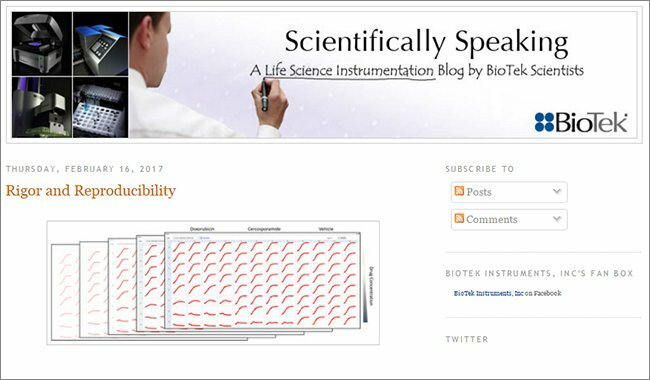 Additionally, when automated using BioTek instrumentation, the assay reduces active labor time and increases consistency and robustness over time and across users. The Dissociation-Enhanced Lanthanide Fluorescent Immunoassay (DELFIA) calls for loading target cells with bis(acetoxymethyl) 2,2’:6’,2”-terpyridine-6,6”-dicarboxylate (BATDA), an acetoxymethyl ester of fluorescence enhancing ligand (Figure 2). Once inside the cell membrane, ester bonds hydrolyse to form 2,2’:6’2”-terpyridine- 6,6”-dicarboxylic acid (TDA), a non-cell permeable hydrophilic ligand. Upon cell lysis the released TDA ligand now in solution binds to europium to form the highly fluorescent and stable chelate, EuTDA. The fluorescent signal is measured via time-resolved fluorescence (TRF), and directly correlates with the amount of target cell lysis. Figure 2. DELFIA Loading and Detection Principle. Figure 3. DELFIA assay, showing antibody bound to loaded target cells and effector cells; target cell lysis; pelleting; and TDA binding with europium to form the fluorescent chelate. In process, loaded target cells, titrated antibody and effector cells are added to microplate wells (Figure 3). When the antibody binds to both target and effector cells, target cell lysis per the aforementioned mechanism of action is initiated. Following the appropriate incubation period, cells are pelleted. A supernatant aliquot containing TDA ligand is transferred to a separate microplate containing europium. The two compounds combine to form EuTDA, and the resulting signal is read using a microplate reader’s TRF mode. The assay model tested here incorporated ovarian carcinoma SKOV3 as target cells, as well as immortalized CD16.NK-92 cells from Conkwest (Del Mar, CA) as effector cells. 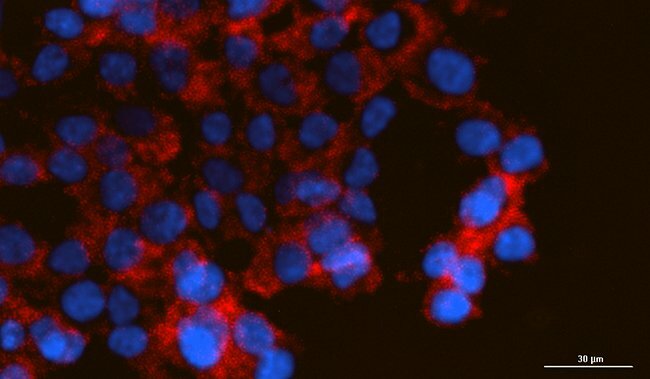 These cells are derived from parental NK-92 cells, developed at the Fox Chase Cancer Center (FCCC), and are part of Conkwest’s Neukopanel ADCC Assay System. They are transduced to express either the high affinity variant CD16-176V or the low affinity variant CD16-176F, which are allelic variants common in normal human populations. The advantage of CD16.NK-92 cells is that they have an easier cell preparation process, and therefore lower cost and required operator time, versus purifying fresh NK cells from blood. 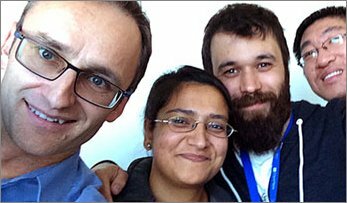 They also provide greater consistency in assay results versus repeated use of primary NK cells isolated from whole blood. Ovarian carcinoma SKOV3 cells (Catalog No. AKR-253) were obtained from Cell Biolabs, Inc. (San Diego, CA). CD16-176F.NK-92 cells and CD16-176V.NK-92 cells were obtained from Conkwest. 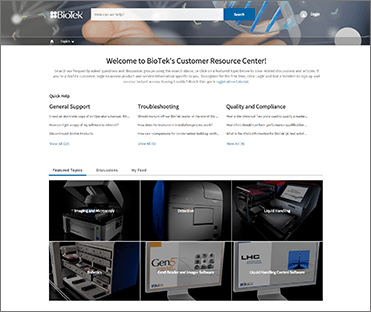 The Herceptin antibody was manufactured by Genentech, Inc. (South San Francisco, CA). 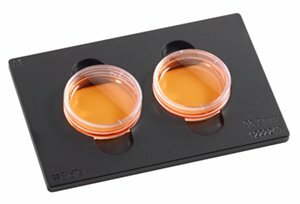 Microplates were from Nunc (as included in the DELFIA complete assay kit) and Corning (Catalog No. 3361, Corning, NY). DELFIA EuTDA Cytotoxicity Reagent Kits, including BATDA Reagent, Lysis Buffer, and Europium Solution (Catalog No. AD0116) were purchased from PerkinElmer, Inc. (Waltham, MA). 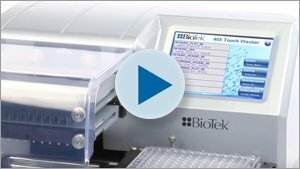 BioTek’s compact Precision™ Microplate Pipetting System automates pipetting processes for walk-away operation. 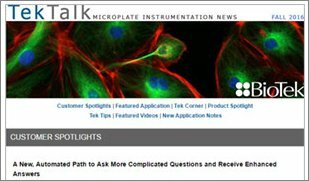 A user-configurable deck and four liquid handling transfer tools provide flexible experimental design for the DELFIA assay and many other microplatebased assays. 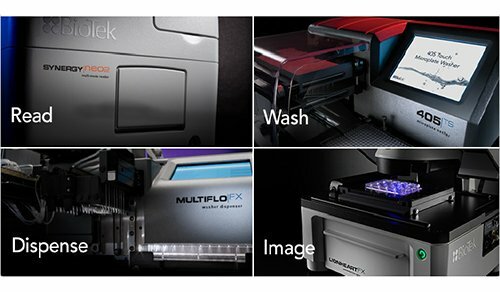 Its small footprint allows for easy insertion into laminar flow hoods, making it especially suited for use with cell-based assay procedures. 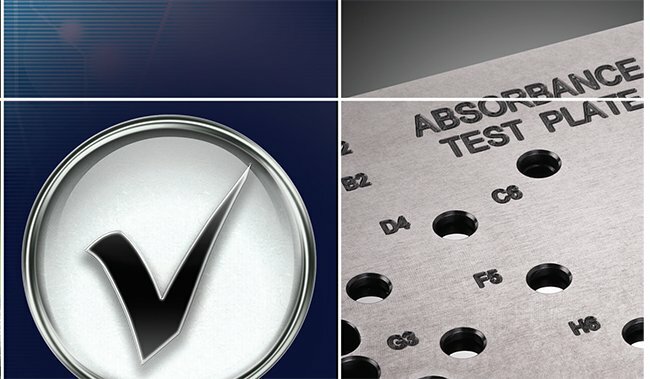 Per the DELFIA assay, Precision was used to perform all liquid handling steps, including test antibody titration and transfer, target and effector cell dispensing, supernatant transfer, and reagent dispensing. 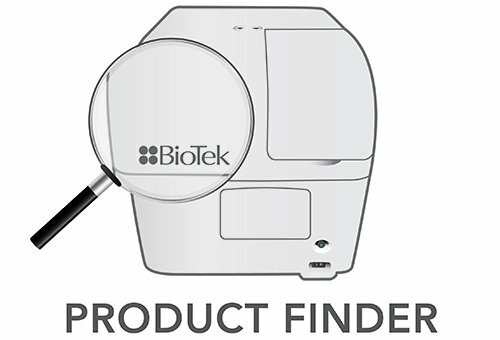 A variety of BioTek’s Synergy™ Multi-Mode Microplate Readers are suitable for many budgets and applications. 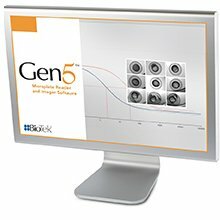 Each incorporates high precision and performance in fluorescence, luminescence and absorbance modes, and are driven by integrated Gen5™ Data Analysis Software. 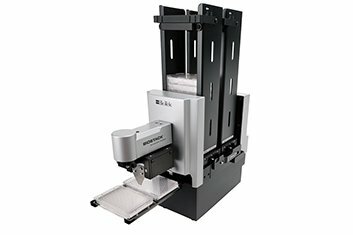 The Synergy™ H1 Hybrid Multi-Mode Microplate Reader is especially useful for the DELFIA assay. 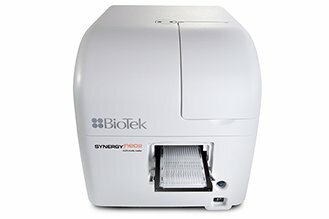 Synergy H1 provides high sensitivity and flexibility for cell-based and biochemical assays, with UV-visible absorbance, luminescence and quadruple grating monochromator optics for top and bottom fluorescence. Synergy H1 may be upgraded at any time with an optional filterbased optics module for advanced read modes like fluorescence polarization, time-resolved fluorescence and time-resolved fluorescence resonance energy transfer. Synergy H1 optics are devoid of fiber optic cables, reflective mirrors and other components that limit light transmission and reduce sensitivity. 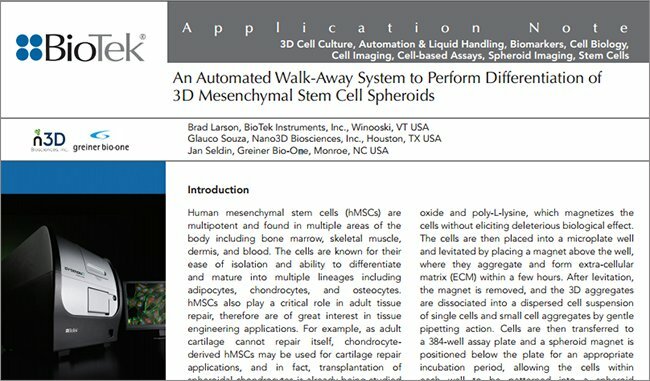 SKOV3 cells were washed with medium and adjusted to a concentration of 1x106 cells/mL. Three milliliters of cells were then placed into each of four different 15 mL conical tubes, followed by 5 μL of BATDA reagent. The tubes were then placed into a 37 °C/5% CO2 incubator for a total 5, 10, 20, or 30 minutes. Following incubation, the tubes were centrifuged to pellet the cells, medium was removed, and the cells were resuspended in wash buffer. The process was repeated three times to remove any ligand left in solution. After the final wash, the pellet was resuspended in culture medium and adjusted to concentrations of 1x105 or 2x105 cells/mL. 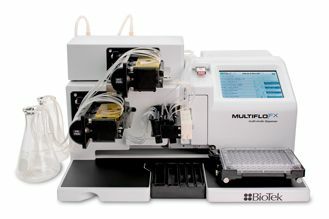 100 μL aliquots of each cell concentration from the four different loading times, plus unloaded cells, were transferred to a microplate. 25 microliters of lysis buffer was added to half the replicates, while medium was added to the remaining wells. The plate was incubated for two hours using the aforementioned conditions to allow lysis to take place. The plate was then centrifuged for 5 minutes at 500 rpm. Twenty microliters of each supernatant was then combined with 200 μL of europium solution in a separate plate, followed by a 15-minute room temperature incubation with shaking. The fluorescent signal from the wells containing lysed and unlysed cells was then quantified. 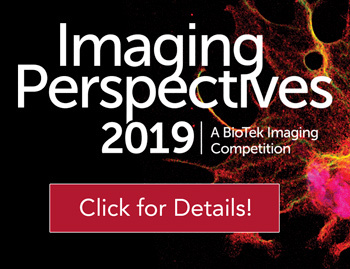 One hundred microliters of pre-loaded SKOV3 cells, at a concentration of 1x105 cells/mL, were combined with 100 μL of either CD16-176F.NK-92 or CD16-176V.NK-92 cells. NK-92 cells were seeded to create 10, 5, 3, 2, and 1:1 effector to target (E:T) cell ratios. Maximum release wells were also created by combining target cells and medium containing lysis buffer. The incubation and subsequent steps were followed as explained for the previous experiment. 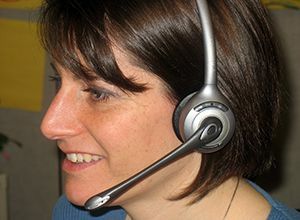 Multiple runs were performed using a 10:1 E:T cell ratio. 50 μL of pre-loaded SKOV3 cells at a concentration of 2x105 cells/mL and 100 μL CD16.NK-92 cells at a concentration of 1x106 cells/mL were added to each well of a 96-well assay plate. A 9-point 1:3 Herceptin antibody titration curve was created, and 50 μL of each 4X antibody concentration was added to each well. The plate was centrifuged one minute at 750 rpm, and incubated 2 hours at 37 °C/5% CO2 to allow opsonization and cell lysis to take place. After incubation, the plate was centrifuged again for five minutes at 750 rpm, and 20 μL of supernatant was transferred to a detection plate. 200 μL of europium solution was added to each well, and the plate was shaken at 500 rpm for 15 minutes at room temperature. The fluorescent signal was then measured with Synergy H4 using a time resolved format. 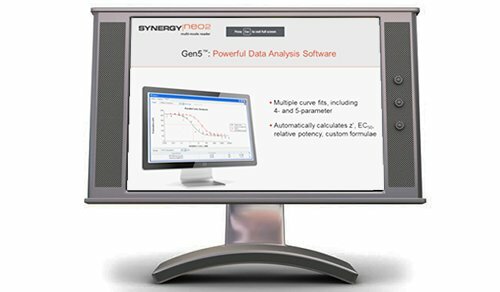 (Data generated by Synergy H4 demonstrates similar data to that generated by Synergy H1). 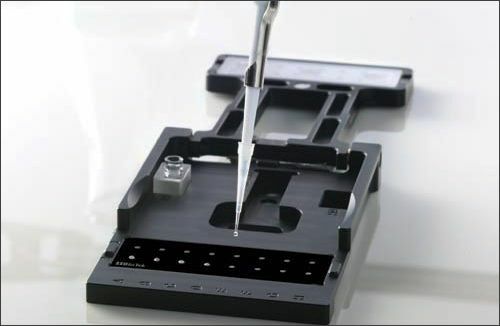 The assay was repeated using a 5:1 E:T ratio, as well as using a Corning 96-well plate in place of the Nunc assay plate provided in the DELFIA kit to compare assay performance in the two microplate types. Per Figure 4, the optimal SKOV3 cell BATDA reagent loading time is seen at 20 minutes. This is the point where the highest ratio between the fluorescent signal from lysed and unlysed cells is seen without danger of cell overloading. Additionally, no advantage is seen when using cell concentrations higher than 1x105 cells/ mL. When SKOV3 and engineered CD16.NK-92 cells were assayed in the absence of Herceptin, no appreciable cytotoxicity, or cell-mediated cytotoxicity, was noted (data not shown). 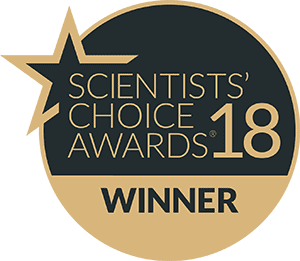 This ensures that any increase in fluorescent signal seen when performing the ADCC assay is due to the cytotoxic properties of the test antibody. Using a 10:1 E:T ratio (Figure 5), the high affinity CD16-176V.NK-92 strain was found to have increased cytotoxicity compared to the low affinity CD16-176F. Figure 4. Optimal SKOV3 cell loading time showing peak BATDA loading at 20 minutes. NK-92 strain at lower concentrations, consistent with previously generated data3. Additionally, calculated EC50 values in Figure 6 agree with previously generated values of 5.2 ng/mL and 15.4 ng/mL, respectively using the chromium-based method. Figure 5. 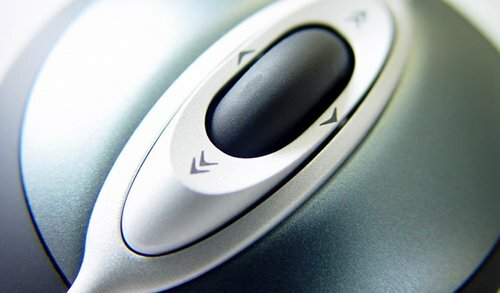 DELFIA automated assay validation data using a 10:1 E:T ratio. A more realistic difference in cytotoxic effect between the CD16-176V.NK-92 and CD16-176F.NK-92 strains was seen using a 5:1 E:T ratio (Figure 6) rather than the 10:1 E:T ratio. Therefore, a 5:1 E:T ratio is recommended for CD16.NK-92 cell experiments. Finally, microplate analysis using different manufacturers was evaluated. When comparing results from those obtained using the Nunc microplate included in the DELFIA complete assay kit, and a clear, flat-bottom, polystyrene Corning 3361 microplate (Figure 7), equivalent data was generated. 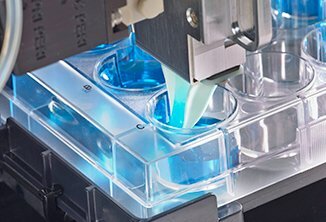 This means that the Corning 3361 microplate may be a suitable substitute for the Nunc microplate when performing the DELFIA assay. Figure 6. 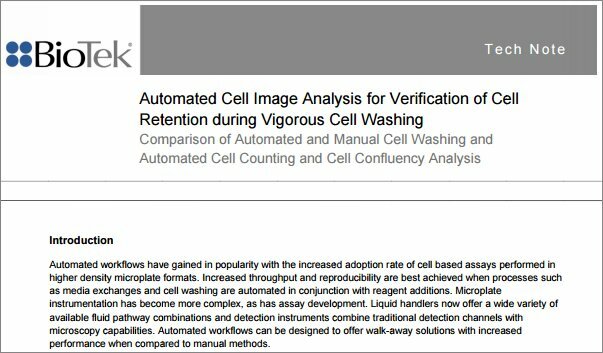 DELFIA automated assay validation data using a 5:1 E:T cell ratio. Figure 7. 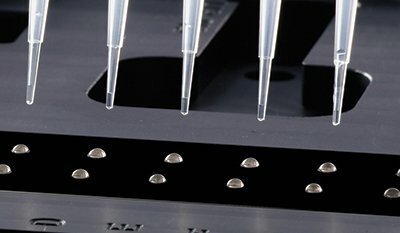 Comparison of DELFIA assay results using different microplate manufacturers. We have demonstrated the non-radioactive DELFIA assay for ADCC studies using TRF detection and CD16.NK-92 cell lines. 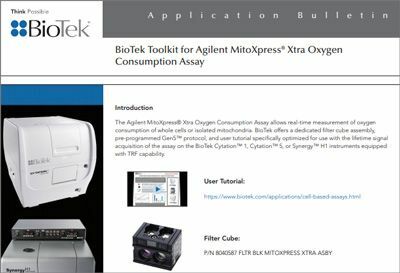 The assay workflow may be easily automated with instruments like BioTek’s Precision™ to increase throughput and repeatability, and Synergy™ Multi-Mode Microplate Readers also increase overall laboratory efficiency. The propagatable effector cells lower cell preparation time and expense, and decrease variability. 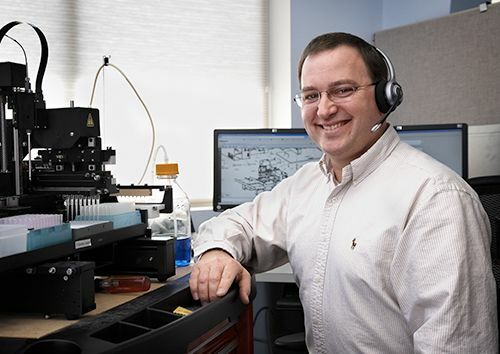 The combination of the non-radioactive assay chemistry, appropriate cell model, and automated instrumentation can increase productivity and throughput, simplify processes, and generate high-quality, reproducible results for the discovery of new antibody therapeutics. Guideline on similar biological medicinal products containing monoclonal antibodies; European Medicines Agency, Committee for Medicinal Products for Human Use, EMA/CHMP/BMWP/403543/2010, Draft, 2010. 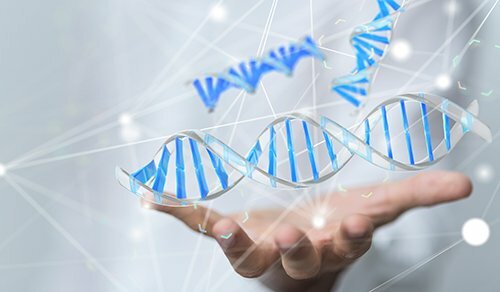 Scientific Considerations in Demonstrating Biosimilarity to a Reference Product; U.S. Department of Health and Human Services, Food and Drug Administration, Center for Drug Evaluation and Research (CDER), Center for Biologics Evaluation and Research (CBER), Draft Guidance, Feb 2012. Campbell, K. A Genetically-modified NK Cell Line Expressing the Fc Receptor, CD16, for Use in ADCC Assays; Fox Chase Cancer Center. 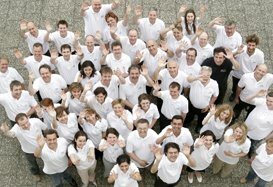 2008, ff. http:/www.fccc.edu/research/techtransfer/symposium docs/900_920.pdf (accessed Dec 6, 2012).